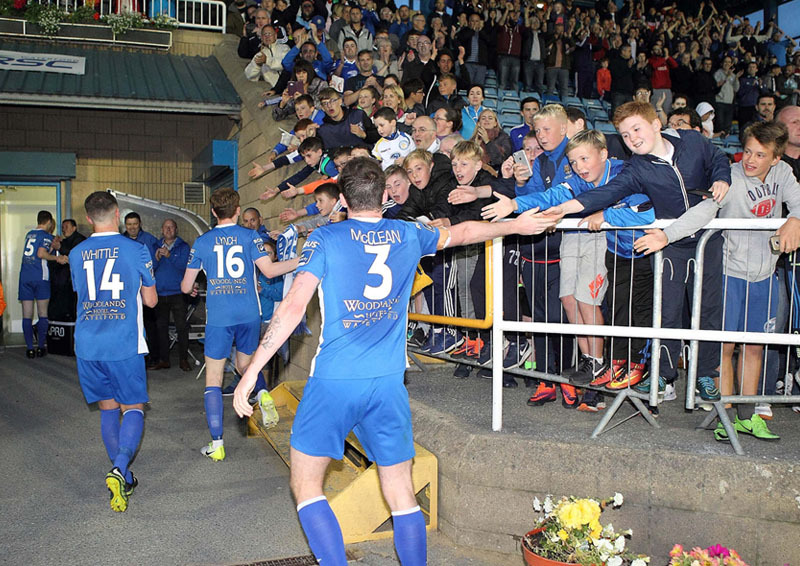 Waterford FC moved nine points clear at the top of the SSE Airtricity League First Division after an emphatic 4-0 win over Stephen Henderson’s Cobh Ramblers at the RSC on Friday night. After a frustrating first half in front of a massive crowd of 1,852, a superb second-half performance and four goals see the Blues open a nine-point gap at the summit of the table. There was controversy just 15 minutes into the game when Blues striker David McDaid was downed in the area, but referee Damien MacGraith failed to award a spot kick; instead booking the striker. In a first half of little chances, Cobh had one of their own on 38 minutes when Karl Caulfield tried his luck from distance but his effort flew over the crossbar of Matthew Connor with the netminder not troubled. The Blues had the ball in the net two minutes later when Garry Comerford’s delivery into the area was headed down by Kenny Browne into the path of John Martin and after his shot was saved by Hunt, David McDaid fired home but the flag was raised for offside. 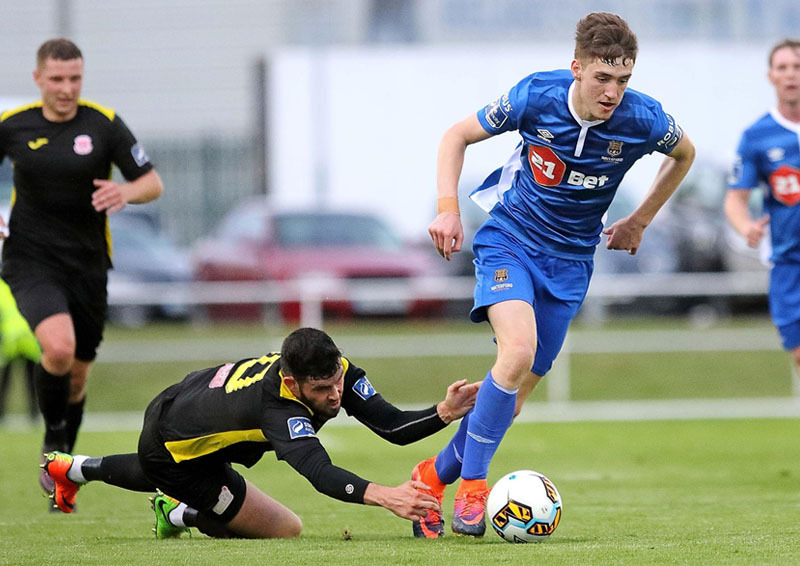 But the Blues struck for the all-important lead goal with 50 minutes on the clock when two former Cobh players combined with Garry Comerford brought to ground 25-yards from goal. Shane O’Connor drilled the resulting free kick toward the front post and the ball evaded striker David McDaid and visiting netminder Paul Hunt to nestle in the near post. It got better for the home side ten minutes later as they doubled their lead with a goal of class. Sean Heaney did superbly well down the left-channel before crossing into the area for John Martin to knock the ball down for O’Connor, who beat Hunt with a powerful effort from the edge of the penalty area. A rampant Blues side added a third goal on 77 minutes to really rock the visitors when Garry Comerford won the ball in the middle of the field to turn provider for John Martin, who unselfishly squared the ball to David McDaid to touch home into an empty net to make it 3-0. 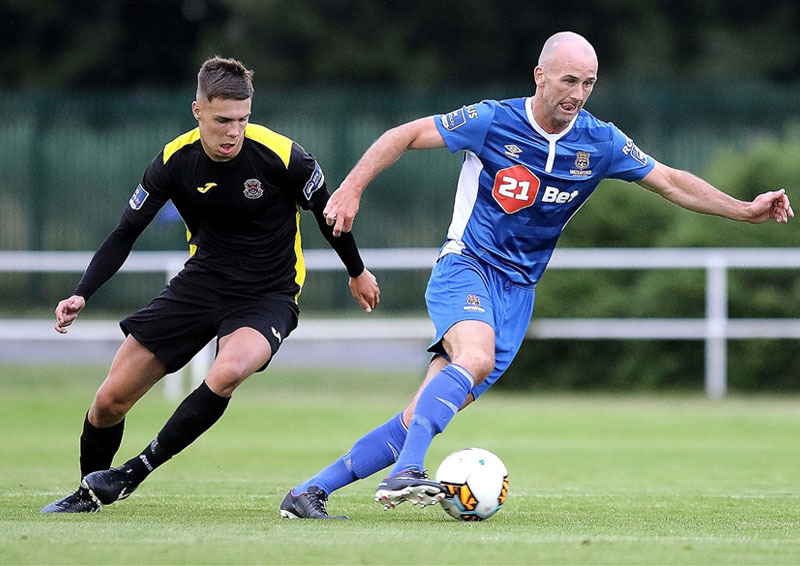 Derek Daly was denied a fourth goal for the Blues on 90 minutes when he took a pass from Paul Keegan but his effort was superbly tipped around the posts by Paul Hunt, before Dean Walsh completed a brilliant night for the Blues when touching home O’Connor’s cross with the last action in a dazzling second half performance. The result sees the Blues move nine points clear of both Cobh Ramblers and UCD, with seven league games remaining.